An associate professor in the Department of Mathematics, Dan Dugger excels in teaching at all levels mathematics curriculum. Of particular note is his innovation and success in teaching one of the department’s most demanding courses: MATH 242, or “Business Calculus,” to a regular audience of 400-500 students. Dugger is particularly dedicated and effective in his role as a mentor. His colleagues note with admiration that he served for several years as head of the math department’s undergraduate program. 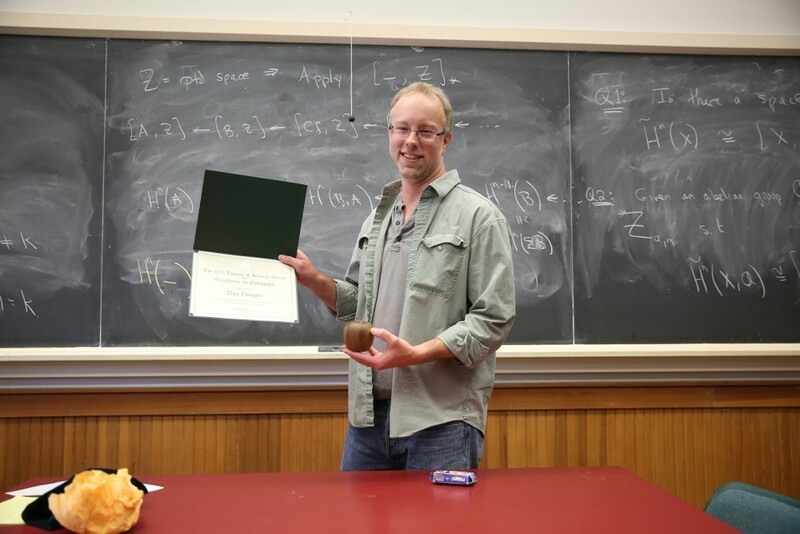 In recognition of his achievement and expertise in the teaching of mathematics, Dan Dugger is a recipient of a 2015 Thomas F. Herman Award for Excellence in Pedagogy. Return to 2015 Distinguished Teaching Awards page.